Hello, My Name is Rikka! Sweet Rikka is a gentle creature. 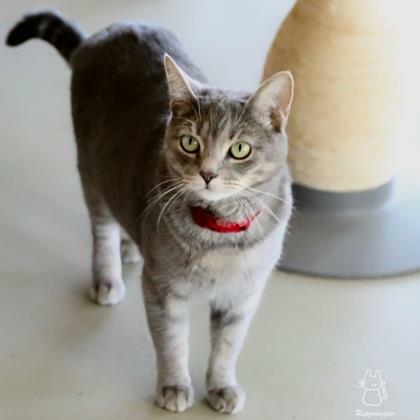 She arrived at Operation Kindness with some beautiful babies, and now that she's raised them to be happy, healthy kittens, she is ready for a family of her very own. 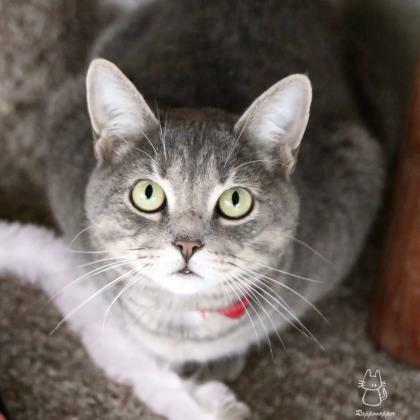 Rikka is still a young girl herself, and loves to play with cat toys and chase bugs. She is polite and kind, and will do well in most households. Come meet Rikka today. **Rikka is a participant in Operation Kindness' Sleepover Program giving potential adopters a of couple nights with her before completing the adoption process. For more information, contact 972-418-7297.